We're still in shock from the presidential election and preparing for the long fight ahead. We know that our country is greater than Donald Trump, and that by working together we will get our nation back on track. While the presidential results cast a long shadow, we believe it is important to highlight and celebrate the wins and progress here at home. We know that now more than ever, our Washington is a beacon of hope for the country. When many states succumbed to fear and division, Washington voters rejected the conservative Trump wave and chose equity, justice, sustainability, and accountability. 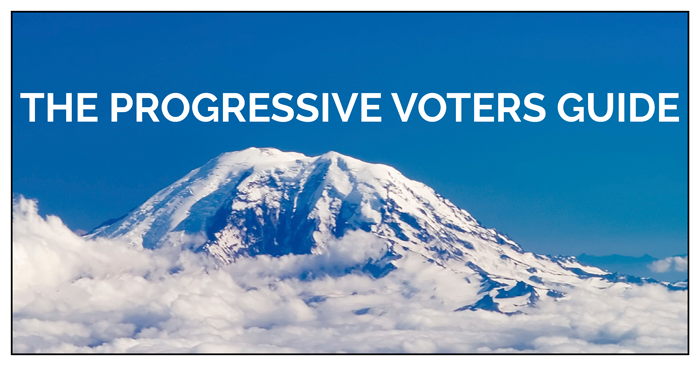 Progressives won most major races in Washington, and we made history by electing the first Indian-American Congresswoman, Pramila Jayapal, and the first Iranian-American statewide candidate, Lieutenant Governor-elect Cyrus Habib. We're thrilled to report that a record 362,000 voters used the Progressive Voters Guide in the general election - approximately one out of every eight people who cast a ballot! We knew this would be a big year with high turnout, so we worked for months to scale up the Progressive Voters Guide to meet the challenge. The 2016 guide made recommendations about 250 candidates, ballot measures, and initiatives, and included a full Spanish translation for the first time ever. We also revamped our website to handle a record surge of 50,000 voters on Election Day alone. Thanks to staff members Sara Kiesler, Rumeal Lovell, Jay Arnold, and Ashley Myrriah for their work day and night to produce the biggest and best ever Progressive Voters Guide. Progressives pick up seats in the state Legislature. In our top priority legislative race, progressive Lisa Wellman defeated incumbent Republican state Sen. Steve Litzow in a hard-fought campaign in East King County. We were also happy to see House candidates Kristine Reeves and Mike Pellicciotti win in Federal Way, with several other races too close to call. Unfortunately, it appears that Marisa Peloquin will come up short in her challenge to Republican Sen. Steve O'Ban, our other top priority Senate race. Donald Trump's conservative "wave" didn't show up statewide, but his surge appeared in some swing districts, and Peloquin's was one of them. So even though we picked up a seat, we are still one vote shy of ending the Republican majority in our state Senate. 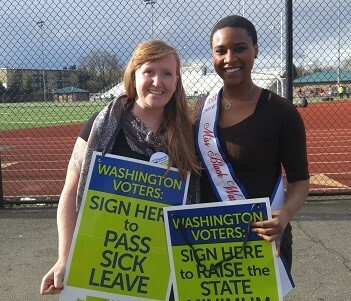 Fuse Organizer Brenna Taylor helping to turn out the vote in Federal Way in the final weeks of the election. Fuse organizers spent thousands of hours in each of these districts recruiting Neighborhood Lead volunteers who talked to their friends and neighbors about the election. We focused our outreach on progressives who don't usually vote, especially young people and people of color who are often ignored by political campaigns. Early results show that this shift in who we engage and how we engage them in campaigns made a big difference in these tight races. Thanks to Fuse staff members Jamie Wheeler, Morgan Steele, Brenna Taylor, José Manzano-Nieves, Felicia Jarvis, and Steve Kelley for their amazing work in these swing districts, as well as our partner organizations Washington Conservation Voters, SEIU 775, Washington CAN!, Win/Win, Planned Parenthood Votes Northwest and Hawaii, and everyone else in the Our Votes Count coalition. Our research and blog post about the Myth of the Moderate Republican revealed that several top Republican Senators - including Wellman's opponent - voted with their conservative party leadership more than 98 percent of the time in Olympia. This research became a key theme of the campaign that reached tens of thousands of voters in each district. Voters in Spokane also voted "yes" on Proposition 1, a measure that will increase the number of buses and transit routes available for all residents. Fuse-endorsed progressives Andy Billig, Timm Ormsby, and Marcus Riccelli were re-elected with strong margins in the 3rd legislative district. Unfortunately, progressives Candace Mumm and Andrew Biviano came up short in their campaigns for County Council. 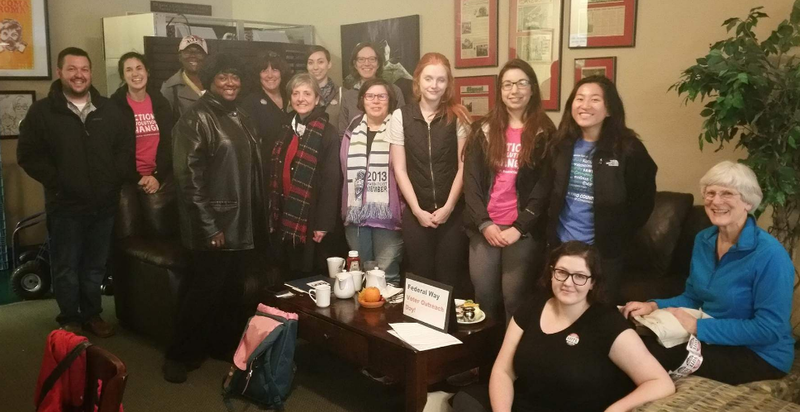 Over the past few months, Fuse organizers and volunteers canvassed door-to-door, phoned banked, and worked diligently alongside neighborhood leaders to help connect candidates to voters. A special shout-out to our Spokane-based Program Director Jim Dawson for his leadership bringing the community together to support all of these important causes. Washingtonians voted strongly to approve Initiative 1433 and raise our minimum wage to $13.50 for more than 750,000 workers. Fuse members collected thousands of signatures to put I-1433 on the ballot, which also guarantees earned sick leave for more than 1 million workers. This groundbreaking initiative will not only help lift hard working people out of poverty, but it will also boost our economy by putting more money into people's pockets. The good news included re-electing progressive state Rep. Christine Kilduff. The results of efforts to defeat toxic Sen. Pam Roach's bid for the Pierce County Council are still too close to call. 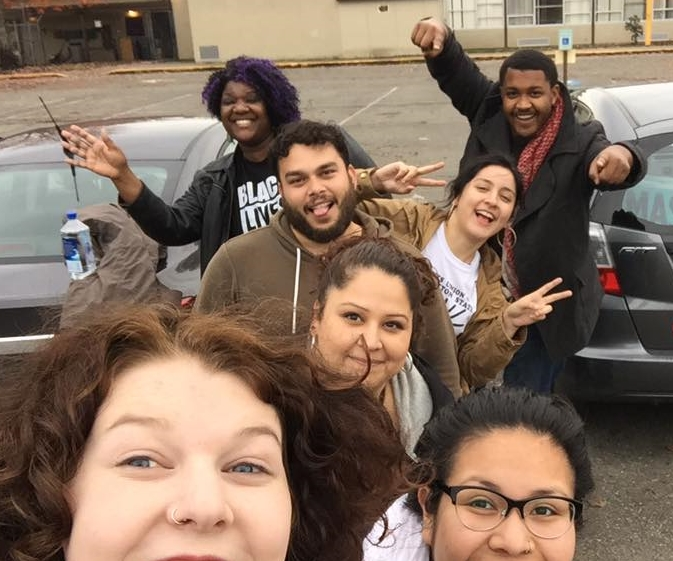 Fuse staff provided critical help for local progressive candidates who otherwise might have been ignored by many voters in Pierce County. In addition to our field organizers, our Development Director Lauren Currin provided many Pierce County candidates with hands-on campaign support and advice. These victories in local races help us build a base for bigger wins in the future. The Puget-Sound region is one of the fastest growing places in the United States. Unfortunately, this incredible growth has also led to incredible gridlock as our outdated transportation system struggles to keep up. Thankfully, voters approved Sound Transit 3, a once in a generation opportunity to expand light rail, bus rapid transit, commuter rail, and express bus service. This measure will protect our clean air and water and help millions of commuters spend more time with their families instead of stuck in traffic. One of the most important state-level results on Tuesday was the re-election of all three incumbent justices to our state Supreme Court. Conservative billionaires launched a last-minute, $1 million ad blitz against one of the fairest and most respected members of our court, Justice Charlie Wiggins. These Supreme Court races were some of the most searched for topics in our Progressive Voters Guide, especially after the attacks began. Thankfully, voters saw through their deceptive negative ads and stood on the side of justice and equality for all. As Aaron said in his email Wednesday, we're in this for the long run. In the wake of Donald Trump's win, our work is more important now than ever, and we're just getting started. We will build on important state level electoral victories Tuesday, and organize for the future. Unlike other political campaigns, our doors are open and we're already strategizing for the next legislative session. We have to planning how we can make our state a national leader on justice and equality, no matter how bleak things may seem in the other Washington. It's not going to be easy, but together we can and we must fight back. The future of our state and our nation depends on it. More than 200 people are already part of the Fuse Powersource team who donate $10 or more every month to fuel our grassroots organizing and hard-hitting communications. Will you make a commitment to fight back with us in 2017? I can make a one-time donation.